The Welders Dog - Armidale in Armidale . Been here? Mark it as visited to record your journey! - Check out opening hours, events, craft beer list and venue features. 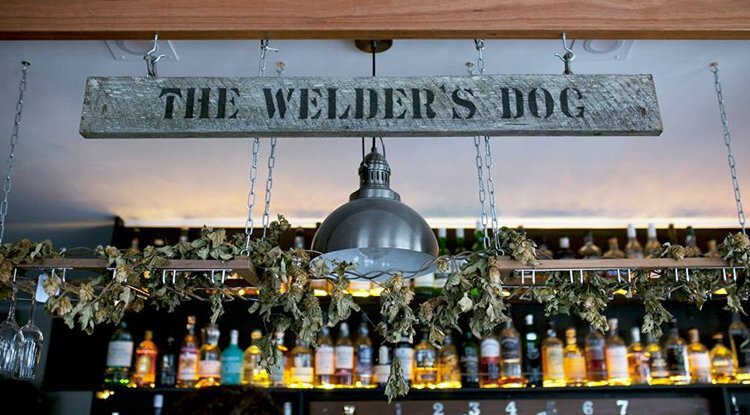 The Welders Dog - Armidale in Armidale - Have you visited yet? The Welder's Dog is Armidale's first Craft Beer Bar. We offer unique craft beers which change daily, as well as fantastic wines and tasty bar food. SYDNEY, NSW : The best Craft Beer Bars and Microbreweries. . The best deals for Pubs, Bars, Restruant, Cafes, Breweries, Pizzeria, Bureria and more! Abbotsbury Abbotsford Acacia Gardens, Agnes Banks, Airds Alexandria Alfords Point Allambie, Heights. Allawah Ambarvale Annandale Annangrove Arcadia Arncliffe Arndell Park Artarmon Ashbury Ashcroft Ashfield Asquith, Auburn Austral Avalon Beach. Badgerys Creek Balgowlah Balgowlah Heights Balmain, Balmain East Bangor Banksia. Banksmeadow Bankstown Bankstown Airport Barangaroo Barden Ridge Bardwell Park Bardwell Valley Bass Hill Baulkham Hills Bayview Beacon Hill, Beaconsfield Beaumont Hills Beecroft Belfield Bella Vista Bellevue Hill. Belmore Belrose Berala Berkshire Park Berowra Berowra Creek Berowra Heights Berowra Waters Berrilee Beverley Park Beverly Hills Bexley Bexley North Bickley Vale Bidwill Bilgola Beach Bilgola Plateau Birchgrove Birrong Blackett Blacktown Blair Athol Blairmount Blakehurst Bligh Park Bondi Bondi Beach, Bondi Junction, Bonnet Bay Bonnyrigg Bonnyrigg Heights. Bossley Park Botany Bow Bowing Box Hill Bradbury Breakfast Point BrightonleSands Bringelly Bronte Brooklyn Brookvale Bundeena Burwood Burwood Heights Busby Bungarribee. Cabarita Cabramatta Cabramatta West Cambridge Gardens Cambridge Park Camden Camden South Camellia Cammeray Campbelltown Camperdown Campsie Canada Bay Canley Heights Canley Vale Canoelands Canterbury Caringbah Caringbah, South Carlingford Carlton Carnes Hill Carramar Carss Park Cartwright Castle Cove. Castle Hill Castlecrag Castlereagh Casula Catherine Field Cattai Cawdor Cecil Hills Cecil Park, Centennial Park Central Business District Chatswood Chatswood West. Cheltenham Cherrybrook Chester Hill Chifley Chippendale Chipping Norton Chiswick Chullora Church Point Claremont Meadows Clarendon Clareville Claymore Clemton Park Clifton Gardens Clontarf Clovelly Clyde Coasters Retreat Cobbitty Colebee Collaroy Collaroy Plateau Colyton Como Concord Concord West, Condell Park Connells Point Constitution Hill Coogee Cottage Point. Cowan Cranebrook Cremorne Cremorne Point Cromer Cronulla Crows Nest, Croydon Croydon Park Curl Curl Currans Hill Currawong Beach. Daceyville, Dangar Island Darling Point Darlinghurst Darlington, Davidson Dawes Point Dean Park Dee Why Denham Court. Denistone Denistone East Denistone West Dharruk Dolans Bay Dolls Point Doon Doon Doonside Double Bay Dover Heights, Drummoyne Duffys Forest Dulwich Hill. Dundas Dundas Valley Dural. Eagle Vale, Earlwood East Gordon East Hills East Killara East Lindfield East Ryde East Sydney Eastern Creek Eastgardens Eastlakes Eastwood Edensor Park Edgecliff Edmondson Park Elanora Heights Elderslie Elizabeth Bay Elizabeth Hills Ellis Lane, Elvina Bay Emerton Emu Heights Emu Plains. Enfield Engadine Englorie Park Enmore Epping Ermington Erskine Park Erskineville Eschol Park Eveleigh. Fairfield Fairfield East Fairfield Heights, Fairfield West Fairlight Fiddletown Five Dock. Flemington Forest Glen Forest Lodge Forestville Freemans Reach, Frenchs Forest Freshwater. Galston Georges Hall Gilead Girraween, Gladesville Glebe Gledswood Hills, Glen Alpine Glendenning, Glenfield Glenhaven Glenmore Park Glenorie. Glenwood Glossodia Gordon Granville, Grasmere Grays Point, Great Mackerel Beach Green Valley Greenacre Greendale, Greenfield Park Greenhills Beach Greenwich. Gregory Hills Greystanes Guildford Guildford West Gymea Gymea Bay. Haberfield Hammondville Harrington Park, Harris Park Hassall Grove Hawkesbury River Haymarket Heathcote. Hebersham Heckenberg Henley Hillsdale Hinchinbrook Hobartville Holroyd Holsworthy Homebush Homebush West. Horningsea Park Hornsby Hornsby Heights Horsley Park Hoxton Park Hunters Hill Huntingwood Huntleys Cove Huntleys Point Hurlstone Park, Hurstville Hurstville Grove. Illawong Ingleburn Ingleside. Jamisontown Jannali Jordan Springs. Kangaroo Point, Kareela Kearns Kellyville Kellyville Ridge Kemps Creek, Kensington Kenthurst Kentlyn Killara Killarney Heights Kings Cross. 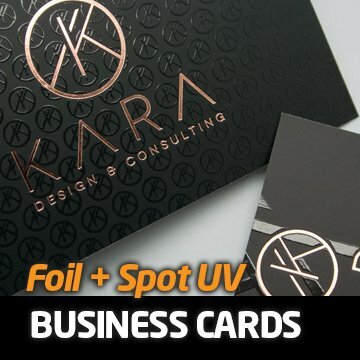 Kings Langley Kings Park Kingsford Kingsgrove Kingswood Kingswood Park Kirkham Kirrawee Kirribilli Kogarah, Kogarah Bay Kuringgai Chase Kurnell Kurraba Poin.t Kyeemagh Kyle Bay. La Perouse Lakemba Lalor Park Lane Cove Lane Cove North. Lane Cove West Lansdowne Lansvale, Laughtondale Lavender Bay Leets Vale Leichhardt Len Waters Estate Leonay Leppington Lethbridge Park, Leumeah Lewisham Liberty Grove Lidcombe Lilli Pilli Lilyfield Lindfield. Linley Point Little Bay Liverpool Llandilo Loftus, Londonderry Long Point Longueville Lower Portland Luddenham Lugarno Lurnea. Macquarie Fields Macquarie Links Macquarie Park Maianbar Malabar, Manly, Manly Vale Maraylya Marayong Maroota Maroubra. Marrickville Marsden Park Marsfield Mascot Matraville Mays Hill McGraths Hill McMahons Point Meadowbank Melrose Park, Menai Menangle Park Merrylands Merrylands West Middle Cove Middle Dural. Middleton Grange Miller Millers Point Milperra Milsons Passage Milsons Point, Minchinbury Minto Minto Heights Miranda Mona Vale Monterey Moore Park Moorebank Mortdale Mortlake Mosman Mount Annan, Mount Colah Mount Druitt Mount KuringGai Mount Lewis Mount Pritchard Mount Vernon. Mulgoa Mulgrave. Narellan Vale Naremburn Narrabeen Narraweena Narwee Nelson Neutral Bay Newington Newport Newtown Normanhurst North Balgowlah North Bondi North Curl Curl North Epping North Manly North, Narrabeen North Parramatta North Richmond, North Rocks North Ryde North Seaforth North St Ives North St Marys North Strathfield North Sydney. North Turramurra North Willoughby, North Wahroonga Northbridge Northmead Northwood. Oakhurst Oakville Oatlands Oatley Old Guildford Old Toongabbie Oran Park, Orchard Hills Osborne Park Oxford Falls Oxley Park. Oyster Bay. Paddington Padstow Padstow Heights Pagewood Palm Beach Panania Parklea Parramatta Peakhurst Peakhurst Heights Pemulwuy Pendle Hill Pennant Hills Penrith Penshurst Petersham Phillip Bay Picnic Point Pitt Town Pleasure Point Plumpton Point Piper Port Botany, Potts Hill Potts Point Prairiewood Prestons Prospect Punchbowl. Putney Pymble Pyrmont.Quakers Hill Queens Park Queenscliff. Raby Ramsgate Ramsgate Beach Randwick Redfern Regents Park, Regentville Revesby Revesby Heights Rhodes. Richmond Riverstone Riverview. Riverwood Rockdale The Rocks Rodd Point Rookwood Rooty Hill Ropes Crossing Rose Bay Rosebery Rosehill Roselands Rosemeadow Roseville Roseville Chase Rouse Hill Royal National Park,, Rozelle Ruse Rushcutters Bay Russell Lea Rydalmere Ryde. Sackville North Sadleir Sandringham Sans Souci Scheyville Schofields. Scotland Island Seaforth Sefton Seven Hills Shalvey Shanes Park Silverwater Singletons Mill Smeaton Grange Smithfield South Coogee South Hurstville, South Maroota South Penrith South Turramurra South Wentworthville, South Windsor, Spring Farm St Andrews. St Clair St Helens Park St Ives St Ives Chase St Johns Park. St Leonards St Marys St Peters, Stanhope Gardens Stanmore, Strathfield. Strathfield South Summer Hill Surry Hills, Sutherland Sydenham Sydney Olympic Park Sylvania Sylvania Waters. Tamarama Taren Point Telopea Tempe, Tennyson Point Terrey Hills The Ponds The Rock.s Thornleigh Toongabbie Tregear Turramurra Turrella. Undercliffe Ultimo. Varroville Vaucluse, Villawood Vineyard Voyager Point. Wahroonga Waitara Wakeley Wallacia, Wareemba Warrawee Warriewood Warwick Farm. Waterfall Waterloo Watsons Bay Wattle Grove Waverley Waverton Weavers Wedderburn Wentworth Point Wentworthville Werrington, Werrington County, Werrington Downs West Hoxton. West Killara West Lindfield. West Pennant Hills West Pymble West Ryde Westleigh Westmead Wetherill Park Whalan Wheeler Heights Wiley Park Willmot Willoughby. Willoughby East Windsor Windsor Downs Winston Hills Wisemans Ferry Wolli Creek Wollstonecraft Woodbine Woodcroft Woodpark Woollahra Woolloomooloo Woolooware. Woolwich Woronora Woronora Heights.Yagoona Yarramundi Yarrawarrah Yennora Yowie Bay. Zetland.